“We felt like our bandwidth was consumed with tracking what our funders want to know, even though it wasn’t always meaningful to doing our work better,” Adam Evans, Executive Director of Project PAVE tells us. Find out how we were able to overcome this common frustration together and get on a path to both meet their funder’s requirements and gather valuable insights to help their work make a bigger impact. Project PAVE’s mission is to empower youth to end the cycle of relationship violence. 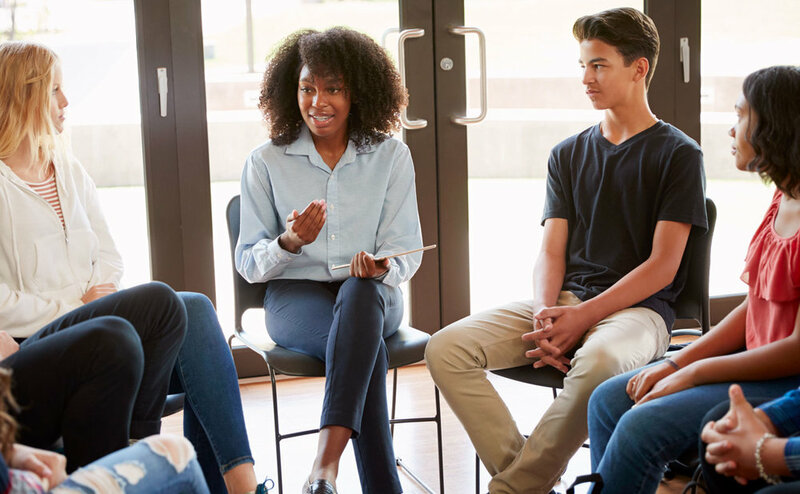 Through therapy and family support services, violence prevention education, and youth leadership, they reach more than 4,000 children, teens, parents, teachers, and other professionals each year in Denver-metro area schools and other community outlets. The team at Project PAVE was frustrated that all their evaluation time and energy was spent measuring what their funders required them to track. Additionally, what their funders expected them to track was not helpful in informing how they could improve their work. For years, the leadership had a strong desire to increase their internal capacity for evaluation so they could boost their value as an organization, but they struggled to find the funding to do. Luckily, after some persistence, they were able to loosen a grant budget to partner with us on a structured capacity building project where, we built an evaluation plan together that integrates with their intervention programing and directly answers the questions they care about. The experience spurred a lot of internal “a-ha” moments and culture shifts along the way. Project PAVE opened their minds, envisioning how evaluation could be done differently and more effectively. Together, we found a way to both meet the funder requirements and gather the information that would be meaningful to their work. Redefine evaluation and what it means for the organization. Shifted the perception of evaluation from “annoying busywork” to “meaningful insights.” And reset expectations–you don’t need to be a data analyst to do evaluation. Tweak the tools and approach to provide richer information. Focusing first on what they wanted to accomplish led to powerful changes. Adding some qualitative measures excited the team and streamlined tools with which they were already comfortable. Shift the priorities and how the work gets done. The internal culture evolved with a newfound desire to pause and consider what they are doing, instead of just marching forward. The Project PAVE team has seen many meaningful shifts in their internal culture, both in how they think about evaluation and what it means for how they do their work. From “No, please don’t make me,” to “Yes, this is helpful.” One team member went from feeling he was “allergic” to evaluation, because it felt like busy work or getting a grade, to being enthusiastic now that it’s meaningful and helps him make a bigger difference. Tools they are comfortable with. Keep it simple–they feel empowered to do this in Excel, a tool they already know. “We don’t need fancy data analysis tools,” Adam noted. A new collective mindset and sharing the responsibility. The team members went from feeling like, “That’s not my job,” to “Evaluation is part of everyone’s role, including mine.” No matter their role on the team, they are now thinking about how to gather information to impact how they do their work. Proactively adapting evaluation tools for other programs. Team members are now coming to leadership with ideas for how to tweak and apply what they learned to other programs. A newfound understanding of evaluation has the Project PAVE team breathing easier and embracing evaluation in a way they never have before. Finding a way even if they don’t love crunching numbers. Opening their eyes to simple, qualitative methods like observation helped the team embrace evaluation by aligning it with their personal strengths and day-to-day work. Feeling enthusiasm instead of fear. The team has been able to replace anxiety and hesitation with excitement because evaluation is no longer scary, and they see how it connects to their work.